When asked by a stranger what I do for a living, my typical response is to tell them that I’m a Technical Illustrator. This is usually followed up by a blank stare on their face. So, I’ve gotten accustomed to my next line being “I draw motors”. Afterwards, I typically explain other examples of things that I can illustrate. It’s interesting how this version of the story is more relatable for the general public. What I find ironic is that this has become my token line on how I explain my career, yet I’ve only ever drawn a motor or two in an automotive illustration or a power washer cutaway. 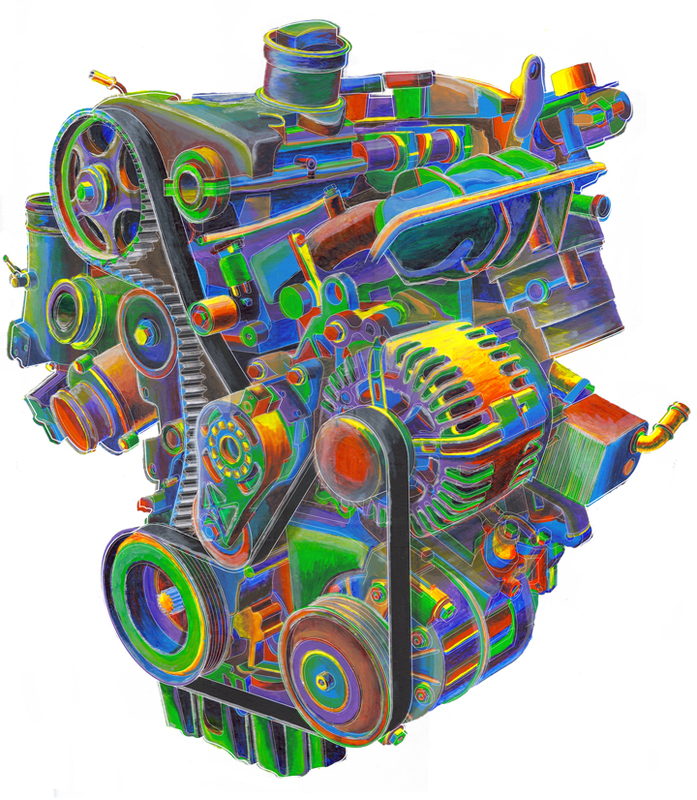 I’ve never drawn just “a motor”. 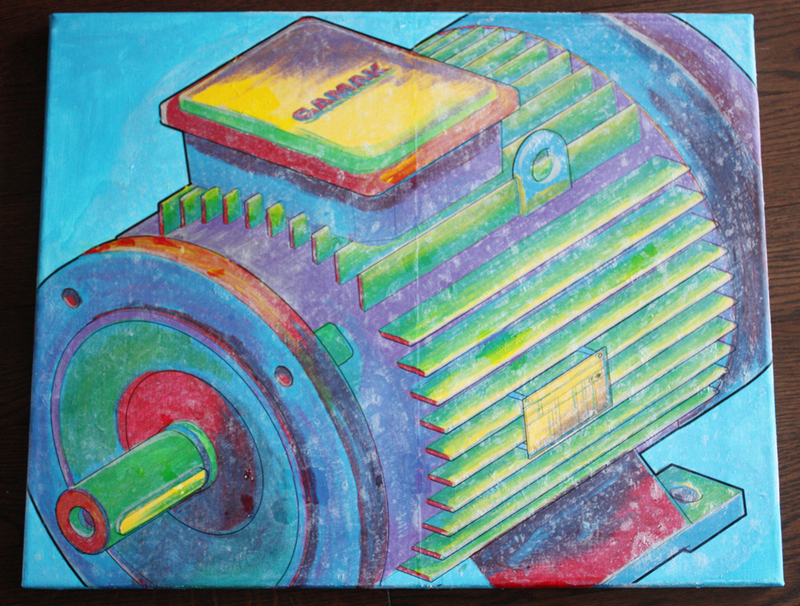 So, this latest technical illustration piece of a motor is illustrated as also a reflective piece that I pushed the context of what a motor looks like. I’ve previously illustrated a similar style in a VW Engine illustration and really enjoy traditionally painting these items to infuse them with bright colors and a new context. Continually illustrating the same thing such as metal, aluminum or steel components and objects gets a little mundane. While I love my job and what I get to illustrate, repetition is what gives us the challenge of then stepping “outside the box” while we can. I have done this through pushing color on these everyday technical components and imagining them differently. Working in a digital environment 24/7 alters your view as an artist. Sometimes it’s so easy to get stuck in a cycle that is constant because that is the demand from clients or the industry. It’s how we decide to push the limits of our environment that inspires us personally, as well as others. I’ve found working traditionally on this painting as given me a renewed energy. My new traditional paintings of bright, colorized technical illustrations revitalizes my take on illustration and technology and hopefully yours too!